Lean manufacturing consultants in business process improvement, process validation engineering, project management development, technology transfer process, and medical device development. Reviews and Comments for Forewords Consulting, Inc. If the business hours of Forewords Consulting, Inc. in may vary on holidays like Valentine’s Day, Washington’s Birthday, St. Patrick’s Day, Easter, Easter eve and Mother’s day. We display standard opening hours and price ranges in our profile site. We recommend to check out lean-manufacturing-experts.com for further information. 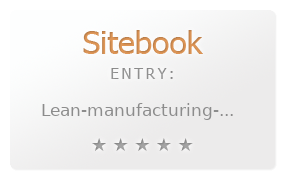 You can also search for Alternatives for lean-manufacturing-experts.com on our Review Site Sitebook.org All trademarks are the property of their respective owners. If we should delete this entry, please send us a short E-Mail.